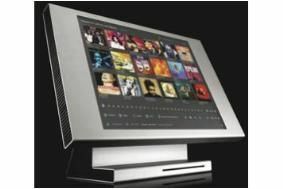 Meridian reinvents its Sooloos whole-house music system | What Hi-Fi? That means any computer can act as a Sooloos zone. And you get remote streaming, too, with remote internet access to the system from any web browser anywhere with a high-speed connection. So you could play your music in the office, or even thousands of miles away on holiday or business. In addition, dedicated Control PC and Control Mac programmes will let the remote computer import or export files, import CDs or do manual system backups. And while the system imports music in full-quality lossless form, it also generates MP3 versions, for use on portable devices. Files can also be imported as FLAC, WAV, MP3, AAC or Apple Lossless, at anything up to 24-bit/96kHz, and the system now has improved handling of classical music, for example recognising that several tracks of a CD may constitute the movements of a single work.